When Americans talked or wrote about Kim Jong Il, we often tended to play up his eccentricities: his ridiculous sunglasses, his towering hair, his platform shoes, his interest in movies. The 24 hours since the announcement of Kim’s death have been no exception. Huffington Post quickly published a fashion retrospective on the dictator. (“Dark and oblong or silvery and square, Kim always had on a funky pair of specs. Trendy sunglasses, oversized prescription lenses and more—we got ’em all.”) ABC News listed the “Top 10 Crazy Facts” about Kim (his kidnapping of a South Korean director, his claim to be a world-class golfer, and so on). As of last night, the lead story at Foreign Policy’s website was titled, “The Many Obsessions of Kim Jong Il: From Cognac to Schnitzel, Michael Jordan to Mercedes, These Are a Few of His Favorite Things.” Meanwhile, references to Team America—in which Kim was portrayed as a malicious puppet—have popped up everywhere. There’s nothing wrong with pointing to a mad dictator’s quirks or attacking authoritarian regimes through humor. (We ourselves have done it with our intermittent “Today in Despotism” series, which chronicled and mocked the exploits of dictators as told by their official government media outlets—and in which Kim invariably played the starring role.) But now the obsessive documenting of Kim’s eccentricities threatens to overshadow the most basic fact about him: No single person who lived in the last few decades has inflicted as much suffering and cruelty on others. The world may not lack for oppressive regimes and mass murderers—from Bashir in Sudan to Mugabe in Zimbabwe to Ahmadinejad in Iran to the leaders of China’s Communist Party—but there can be little doubt that the suffering of North Koreans is “sui generis,” in the words of the United Nations special rapporteur on human rights. Because North Korea is less open than any other society, we hear comparatively little about conditions on the ground there. But what information we have about life in the country is horrifying. The massive labor camps in which political prisoners and their offspring toil (the sickening details can be found in this Washington Post profile of an inmate who escaped); the radios installed in people’s homes that play government propaganda and cannot be turned off; the widespread reports of malnutrition and starvation even as Kim and his family hoarded luxury items: All of it paints a picture of a reality so horrifying that it is probably beyond our comprehension to fully understand. 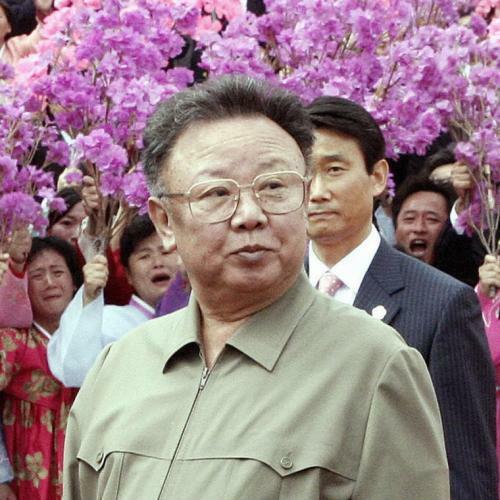 Still, even if we cannot completely grasp what life is like for ordinary North Koreans, we can at least be honest with ourselves about one thing: Kim Jong Il may have been an eccentric, but he was not, first and foremost, an eccentric. He was, first and foremost, the cruelest man of our time. And that is how we should remember him.